In Disbelief… Our Businesses and Cultural Community Sacrificed to Partisan Politics. We are saddened to publicly confirm that the bill to fix the current treatment of martial arts schools like health clubs, HB2334, did NOT successfully pass the Senate during the 2016 legislative session which ended on Thursday. We want to thank each and every one of you that was involved in this effort and supported this change. We are saddened to publicly confirm that the bill to fix the current treatment of martial arts schools like health clubs, HB2334, did NOT successfully pass the Senate during the 2016 legislative session which ended on Thursday. We know that the next year is going to be tough for a lot of us; but we believe that we should be PROUD of the amazing hard work, dedication, perseverance, and determination that our members exhibited. This is what we teach both our kids and adults and it was amazing to see those exact characteristics in our fight for fairness with the State. Below is our summary, our thanks and a video of a press conference that speaks for itself. We are confident we documented beyond any shadow of a doubt that the change in law in 2015 was unfair, unequally applied, legalized discrimination and is embarrassing for the State of Washington. It was a mistake or oversight and most lawmakers agree. 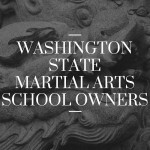 We told them this would crush many of our small businesses and force many, many people, and families who need our services most, to quit martial arts or not begin at all. We told them our educational businesses were too small to absorb the damage this sudden, near 10%, tax increase would cause. We told them some businesses would close and jobs would be lost. We told them that access to self-defense, bully prevention training and the cultural heritage of many of our residents should NEVER be hindered by taxation. We delivered this information in public testimony, in documentation we hand-delivered to offices, through the lobbyists we hired to help us, via this petition and through the messages you delivered to your legislators. 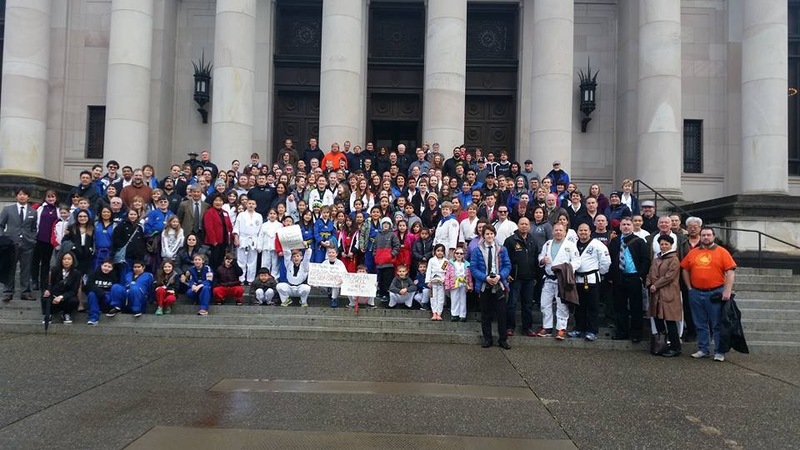 We came together for the first time and we are so proud of the martial arts community who participated and donated and very thankful for all the others who supported as they could! You all really, really impressed with your visits to Olympia, your phone calls, letters and emails. We did what we were supposed to do as citizens and, especially when it comes to fixing a right/wrong issue like this, it was supposed to matter to them! As you likely know most lawmakers were shocked this had happened in the first place and were fully supportive of a bill, HB2334, to fix it. Even the Department of Revenue, who wrote and requested the change in 2015, helped and did not oppose! Our House of Representatives voted 96-0 in support and nearly EVERY Senator we spoke to said they would vote YES if they were given an opportunity. We made some great allies and friends and we are very grateful to each and every one of them! However, Senate leadership simply would NOT ALLOW a vote on the bill. 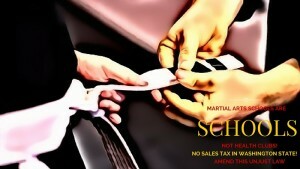 Politics at it’s most callous and most spiteful and it happened here in our state. We had been told Senate leadership was holding an ideological line in the sand to NOT pass a single ‘tax exemption’ in 2016. The ruling majority felt they had been beaten up over exemptions in the past and passing this one might be used against them in the future. This press conference occurred on March 8, 2016 and there was absolutely no rational reason to be referring to HB2334 as a ‘tax exemption’ at that point in time. That HB2334 simply restored equal and consistent treatment, and stopped a punishing taxation that was harming our businesses and students, had been well established at this point. They killed the bill by not allowing a vote and this is why we lost. Inexplicably, the same Senator who was against a ‘tax exemption’ for martial arts schools, the prototypical mom-and-pop American small business, voted two days later for HB2839 which provided a tax exemption for the airline industry because it would create jobs. We’re pursuing some other options as a community but we’re likely stuck with this until the middle of 2017 and it’s going to hurt. Representative Cindy Ryu (D) has promised to sponsor the bill again in the House of Representatives next year and Senator Judy Warnick (R) has promised to do the same in the Senate. We had a call with Senator Warnick yesterday and she was honest about what had happened and really earnest to fix this next year. We’re exhausted. But, until we’re treated equally in this state we will keep fighting. We believe we owe it to our students and future students. SIGN the petition on change.org, if you haven’t already, and get EVERYONE you know who supports us to sign as well. ASK them to. Send it by social media, email or mail if you have to. We need numbers next year Fall! Click HERE. LIKE our page on Facebook and check in frequently. Click HERE. CALL and EMAIL your Senators. Tell them how you feel and tell them you expect them to stand up to leadership next year. CALL AND EMAIL your House members and thank them for doing their part. Ask for their support again next year. DONATE to the WSMAA. PLEASE. We’re all volunteer but we can’t do this without financial support for expenses. Our biggest disappointment is only 119 TOTAL students and school owners donated even $10. Continue to be professional. Continue to be kind. Continue to be respectful.